Powerball officials say one ticket sold in New Jersey matches all six numbers in the Powerball drawing worth $429.6 million. 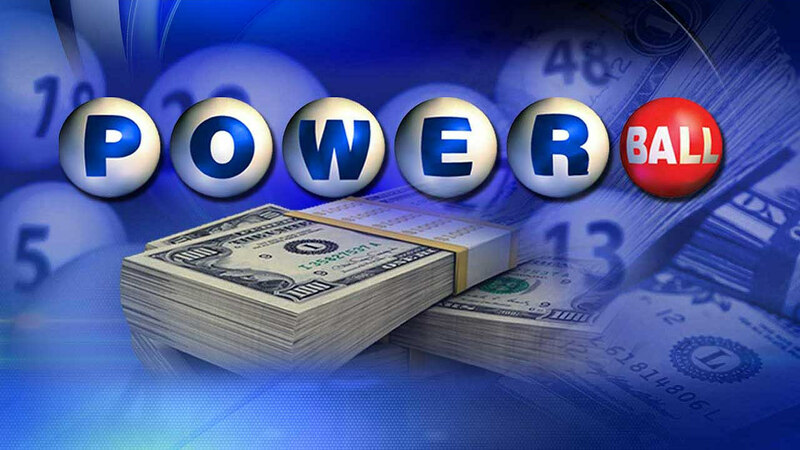 The winning Powerball numbers are 5-25-26-44-66, the Powerball number is 9. The numbers were drawn Saturday night for a jackpot that is the largest since a record $1.6 billion payout in January. The spokeswoman, Kelly Cripe, said the exact location of where the winning ticket was sold should be known later Sunday. Meanwhile, a $1 million ticket was sold at a convenience store in San Jose. That winner is yet to be identified. Here are some things to keep in mind about the drawing and future jackpots:. At one in 292.2 million, everyone from lottery officials to a helpful math teacher will explain that the odds of winning aren't good, but it's still hard to fathom. Just keep this in mind: You have a much better chance of being killed in an attack by bees in your lifetime, at one in 64,706, than winning the Powerball jackpot. Even with such bad odds, a winning ticket or tickets will eventually be sold. That's because about 323 million people live in the United States, and when the jackpot balloons, a lot of them buy a lot of tickets. In January, more than 75 percent of the possible 292.2 million combinations were sold for the astronomical prize. The drawings are at 10:59 p.m. Eastern time on Wednesdays and Saturdays, when five of 69 white balls are drawn from a drum, along with one of 26 red balls from another drum. Match all the numbers and you're suddenly very wealthy. Smaller prizes are paid if you match the Powerball or at least three of the white balls. The jackpot starts at $40 million and increases until there is a winner. Each ticket costs $2, and players can pay an extra $1 to increase the smaller prizes they might win. With high hopes, people often buy 25, 100 or more tickets, or they might join an office pool. They're right that buying more tickets increases their chance of winning, but not by much. To really increase your odds, you'd need to buy hundreds of thousands or millions of combinations, and even then you'd probably lose. Jackpot winners face a choice of taking a lump sum or an annuity paid over 30 years. The annuity is the amount promoted as the jackpot, but most winners opt for cash - which, as of Saturday is an impressive but much smaller $284.1 million. Most winners think they can earn a higher investment return than would be guaranteed through the annuity. But don't forget about taxes, which will eat up about half of the cash winnings and a bit less of the annuity. Powerball is sold in 44 states, plus Washington, D.C., Puerto Rico and the U.S. Virgin Islands. That leaves Alabama, Alaska, Hawaii, Mississippi, Nevada and Utah as the only states that don't participate. Typically, the busiest retailers and longest lines are found just across the border from states in the Lower 48 that don't offer the game.